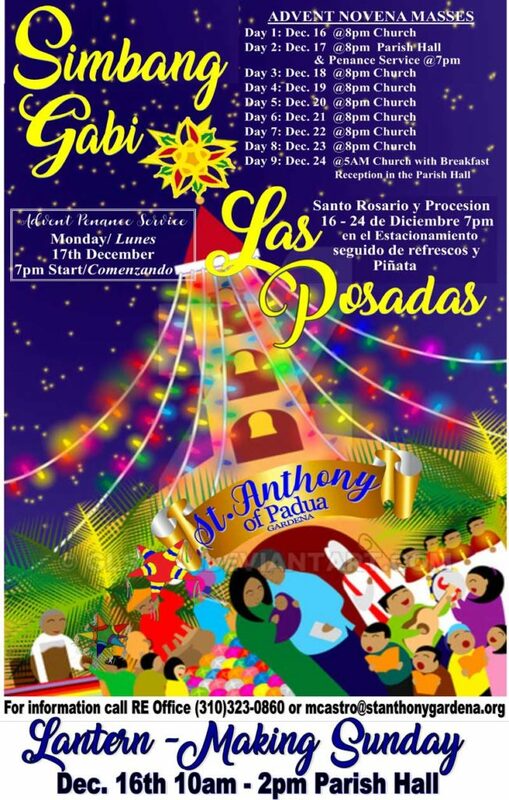 St. Anthony of Padua Church is celebrating Simbang Gabi and Las Posadas with the following Christmas Novena events. Please mark your calendars with the following event information. 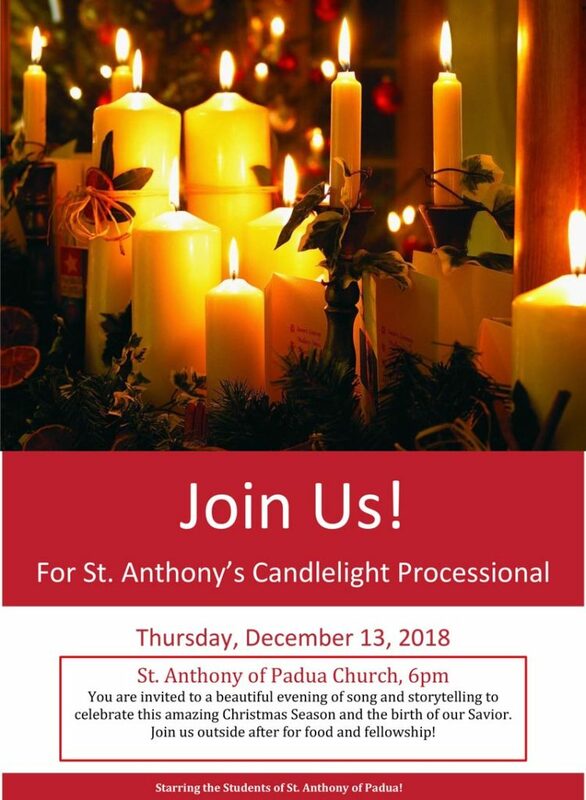 Join us for the St. Anthony Candlelight Processional on Thursday, 12/13, at 6 pm in the church. It will be a beautiful evening of song and storytelling, featuring the students of St. Anthony of Padua School. 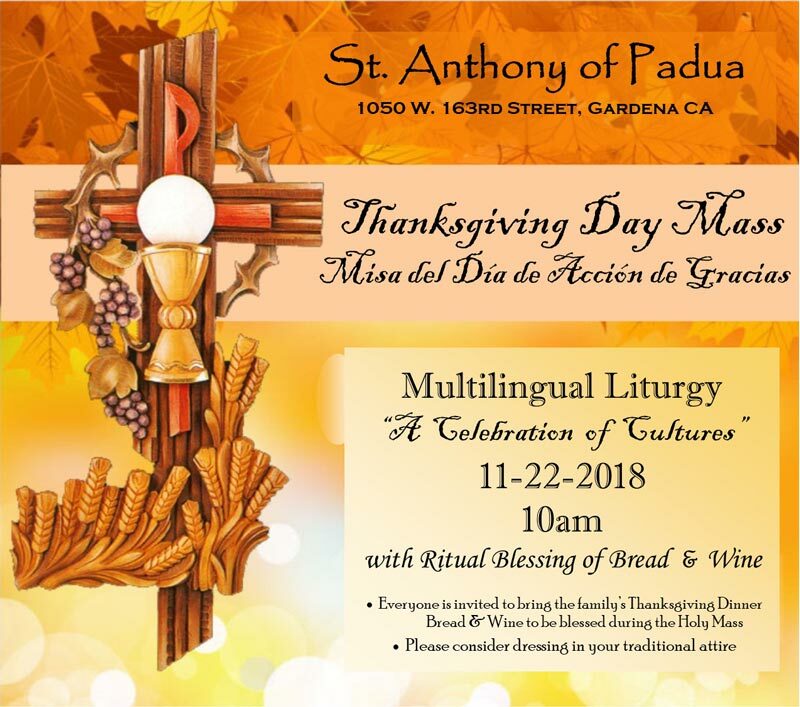 St. Anthony of Padua Church will be celebrating Thanksgiving Day Mass on Thursday, 11/22, at 10 am. 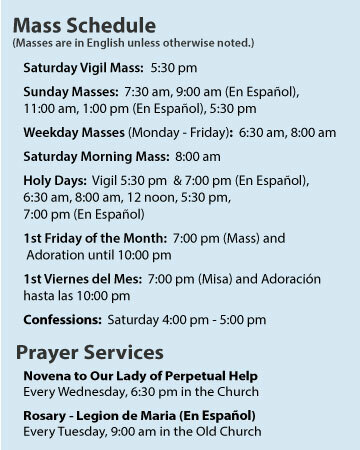 Everyone is invited to bring the family's Thanksgiving dinner bread and wine to be blessed during the Holy Mass. The Installation Mass of Monsignor Sabato Pilato as Pastor of Saint Anthony of Padua Church will take place on Sunday, October 28th at 5:30 pm. 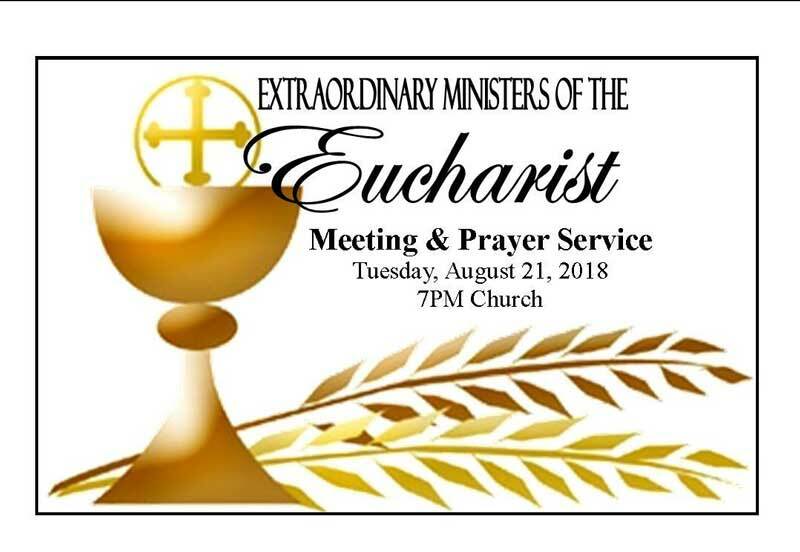 There will be a meeting and prayer service with Monsignor Pilato for the Extraordinary Ministers of the Eucharist on Tuesday, August 21st. 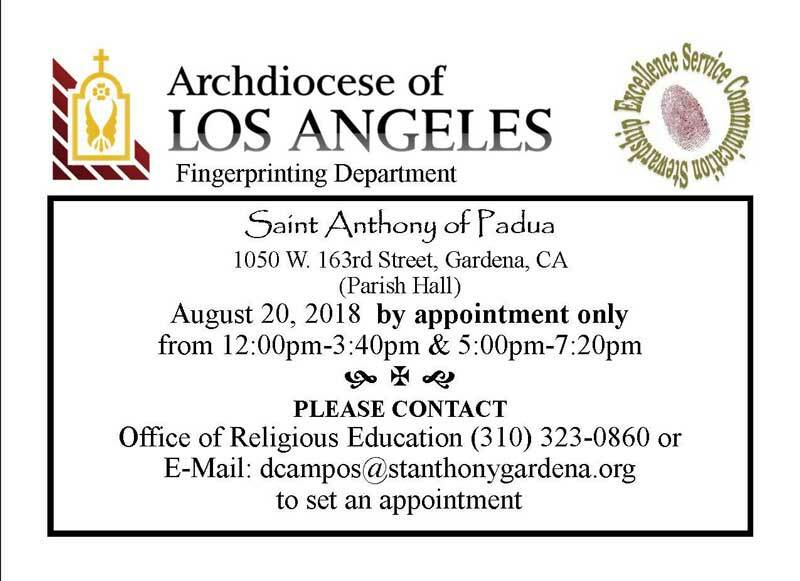 The Archdiocese of Los Angeles Fingerprinting Department will be in the St. Anthony of Padua Hall on Monday, August 20th. 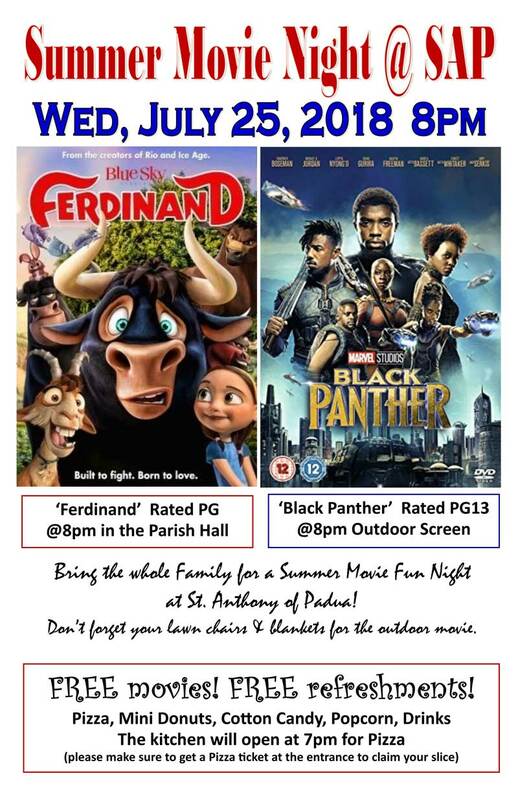 Join us for Summer Movie Night at St. Anthony of Padua Catholic Church on Wednesday, July 25, 2018. You won't want to miss it! 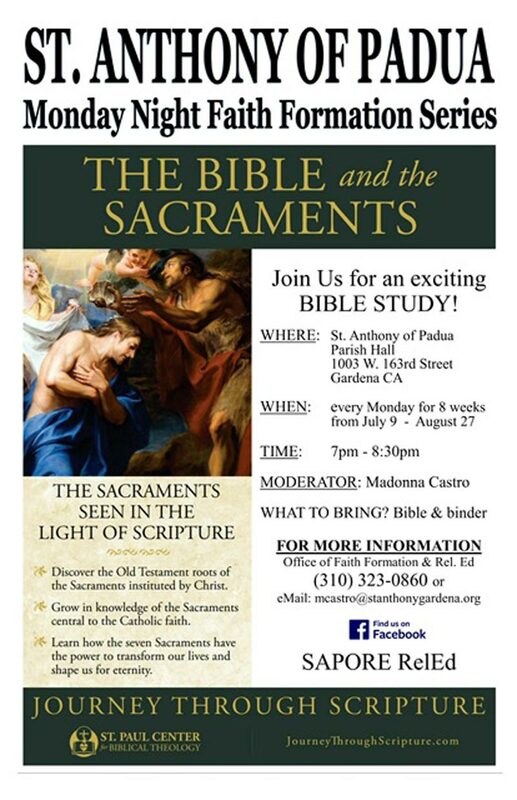 Please join us for an exciting bible study: "The Bible and the Sacraments". 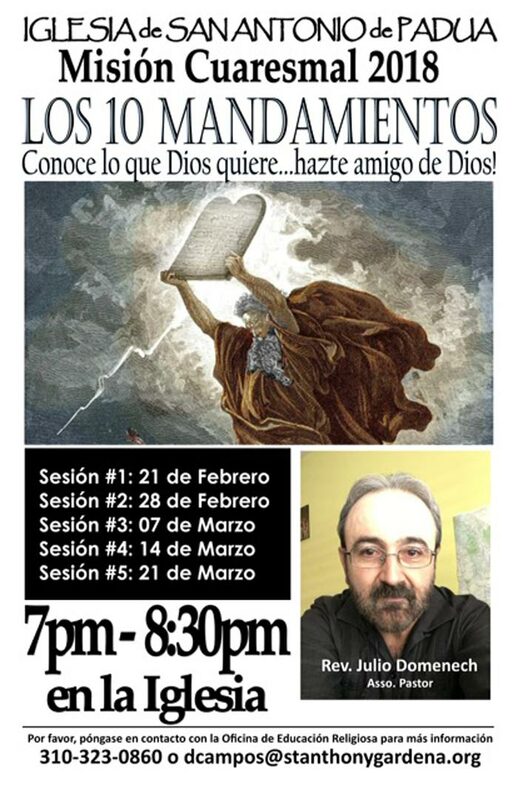 Every Monday for 8 weeks, starting July 9th, in St. Anthony of Padua Parish Hall, 7 pm - 8:30 pm. 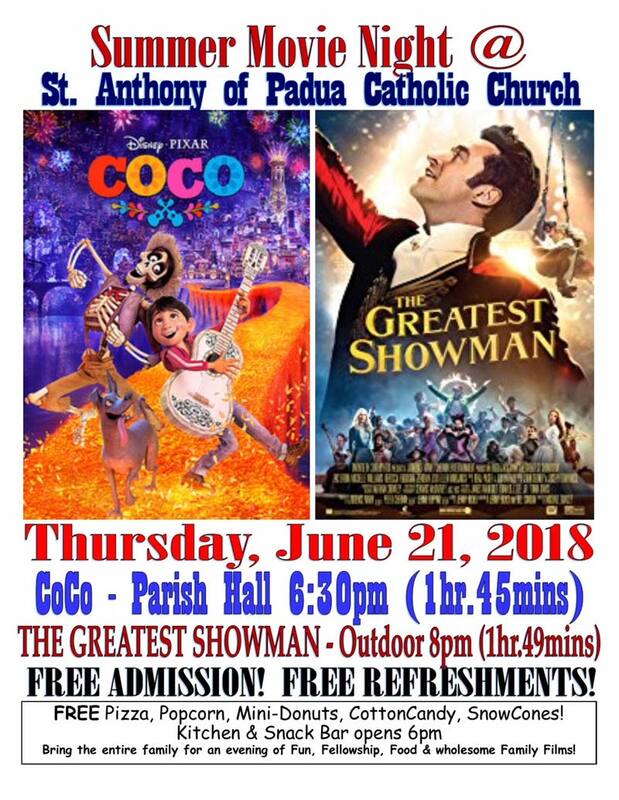 Join us for Summer Movie Night at St. Anthony of Padua Catholic Church on Thursday, June 21, 2018. You won't want to miss it!